If you click on the image above, it will take you to a page where you can back order the Panasonic G6 at $749.99. You can also get on the pre-order list for the camera for $749 at Adorama. Sadly, however, if you do a search for the camera at Amazon, you'll be taken to a page that lists it for $100 above retail through a company called 6th Ave Express (I am naming them because I'm calling them out - but there's no link, because I don't want to encourage this behavior). As it turns out, the folks at so-called "BigValue" are doing the exact same thing on eBay . This is clearly not as pernicious as profiteering from food during a famine - or even from overpriced fuel during an oil embargo, but consumers deserve to know that it's going on. I completely "get" the law of supply and demand - and that retailers should have some price flexibility to cover extra costs - but a $100 markup on a $750 camera? As we used to say in the military, YGTBSM. This is profiteering, pure and simple. This isn't all the retailers' fault - ultimately, it is Panasonic's. Once again, they have introduced a camera, promised a delivery date, and then failed to ramp up production to meet demand. Sadly, this is a pattern. Panasonic cameras routinely miss promised delivery dates in North America, they have poor availability in the largest retail channels in the United States (that's being charitable), and they do not issue updates explaining the situation to consumers. I tend to recommend Panasonic cameras on internet fora and on this blog because, in my view, their hybrid still/video bridge camera (the FZ200) and their DSLMs (the G6 and the GH3) are the best-in-class hybrids between about $500 and $1500. That said, Panasonic's supply chain challenges are a real problem for the company and its consumers. It is clearly a losing sales strategy - and it is not very helpful to the company's credibility among camera buyers and bloggers. 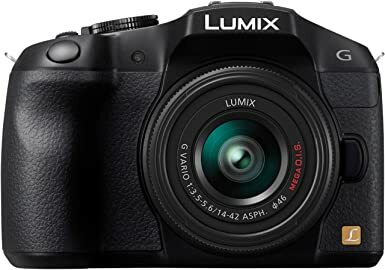 If anyone at Panasonic is reading this - you should know that it is becoming more and more difficult to recommend your cameras - because it is becoming more and more difficult to find your cameras at the prices you advertise on your website. For now, hybrid still/video camera buyers with less than $800 in their budgets, who want moire-free video and terrific stills - and who cannot wait for the G6's supply challenges to work themselves out, may want to consider the Nikon 5200, $797 with the 18-55 kit lens at Amazon (or even less on eBay) . The G6 is a great camera, and a good value for the money at $750 with the kit lens - but it is a bad deal at $850, and I don't recommend it at that price. If you're in the market for any of these cameras, please click on the display ads below. It won't cost you anything extra, and it makes it possible to keep these posts coming. Thanks!